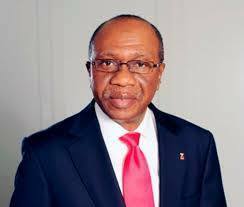 Central Bank of Nigeria (CBN) governor, Godwin Emefiele, may be the next top high profile government official to lose his job, ripples.com reports. A top presidential aides confided on Monday that the dragnet is drawing closer to Emefiele, who was appointed as head of the nation’s apex bank by former President Goodluck Jonathan on June 3, 2014. Emefiele replaced Mallam Lamido Sanusi, the Emir of Kano, who was controversially suspended and fired by Jonathan for alleged insubordination. But the CBN chief has been in the eye of the storm lately following revelations that the nation’s treasury was practically emptied to fund the failed re-election bid of Jonathan in 2015.